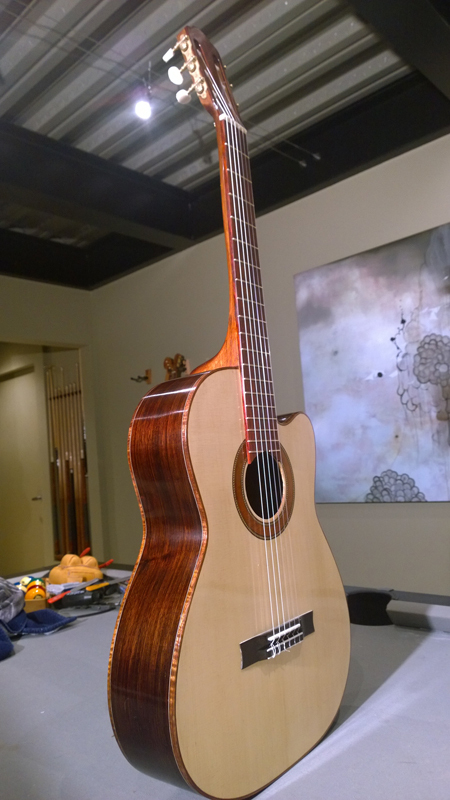 This is a fan braced African Blackwood guitar that I made after attending Jeff Eliott's voicing class. 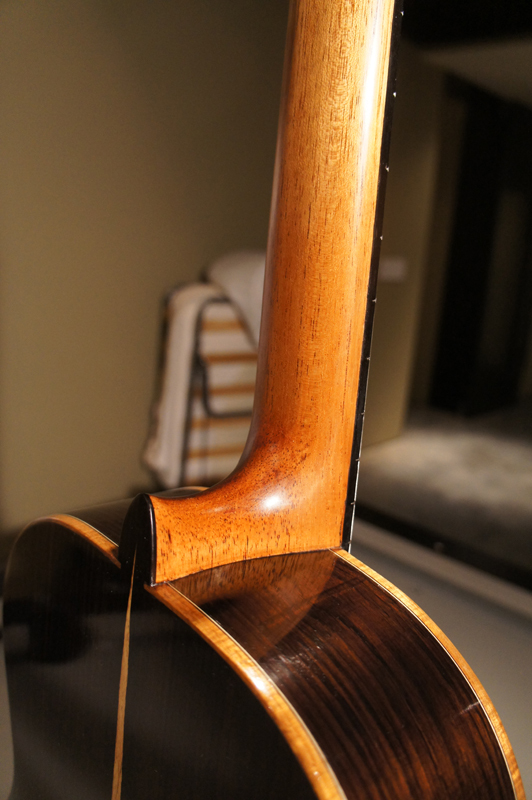 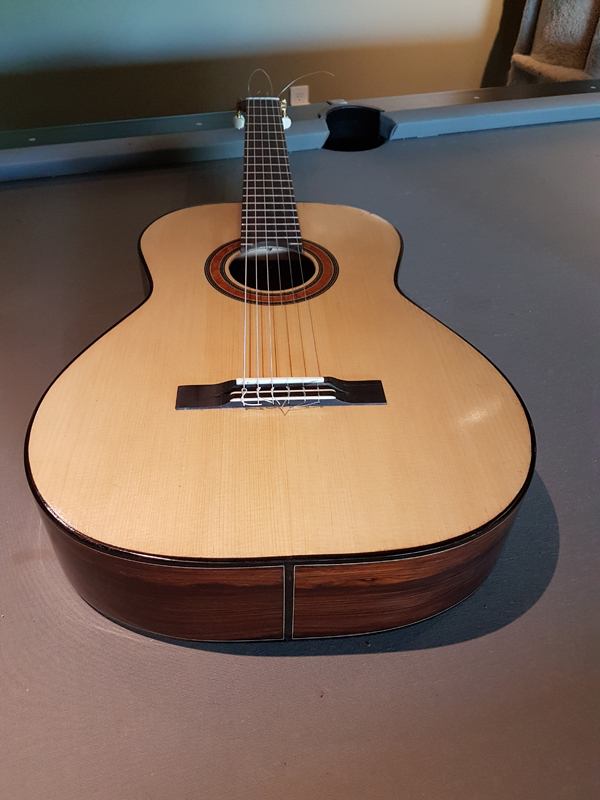 The bracing patteren is Jeff's modification of a Hauser 42 with an open harmonic brace. 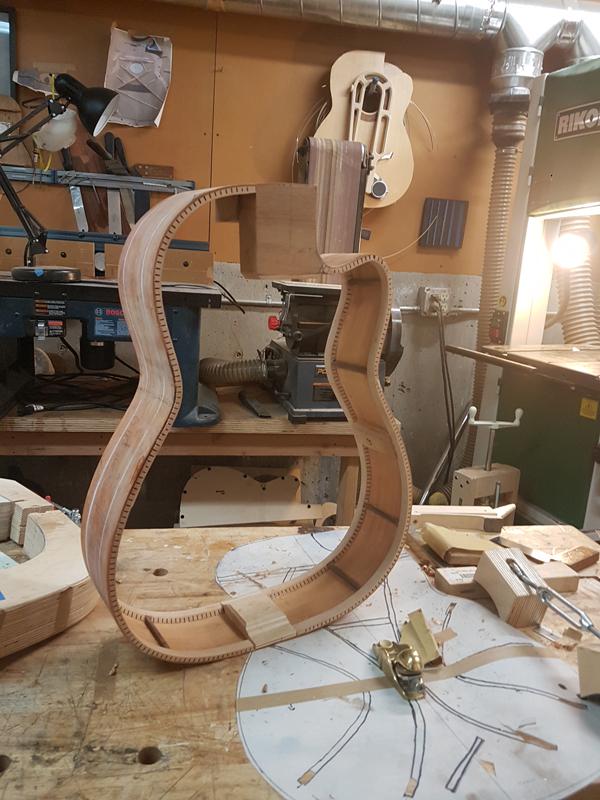 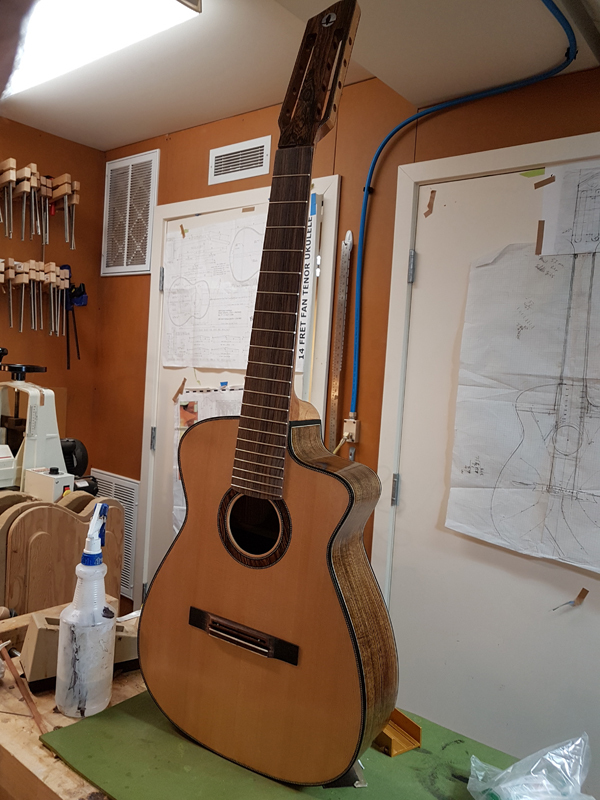 This is my first Classical guitar using many of the concepts included in in the Gore\Gilet books, Contempory Acoustic Design and Build, including Trevor Gores falcate bracing pattern. 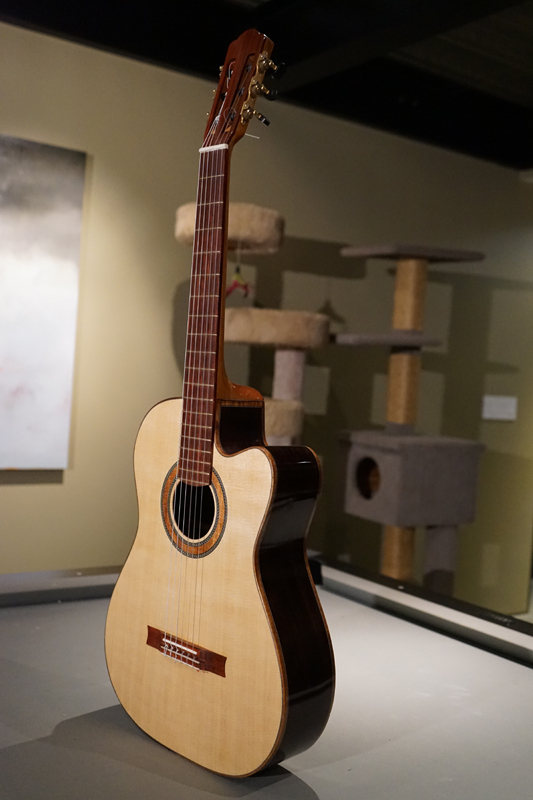 The guitar features a bolt on blot off neck, a 20 inch radiues fretboard and a truss rod. 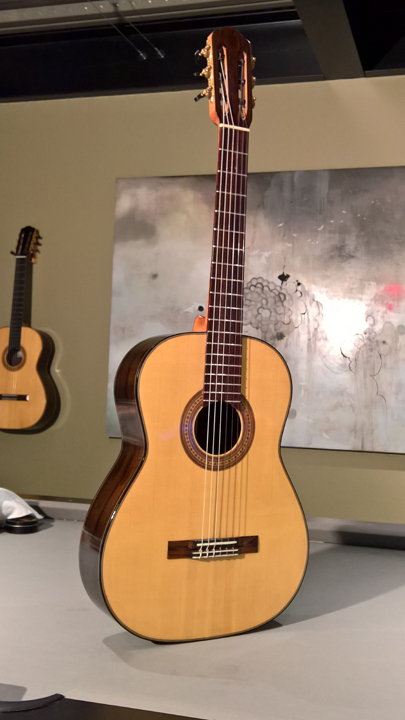 Fetures normally included on steel string guitars.